BSE Ltd, operator of Asia’s oldest stock exchange, has received approval from its shareholders to float an initial public offering (IPO). The exchange said in a notice on Wednesday its shareholders unanimously approved the IPO proposal at a meeting on June 24. It has 9,283 shareholders including brokers and institutions such as Deutsche Boerse AG and Singapore Exchange Ltd. The two foreign bourses hold a 5% stake each in BSE. BSE had said last month that it planned to offload up to 30% stake through an IPO that would comprise an offer for sale by existing shareholders and might include a possible fresh sale of shares. It did not specify the amount it plans to raise. BSE will be the first listed stock exchange in the country. 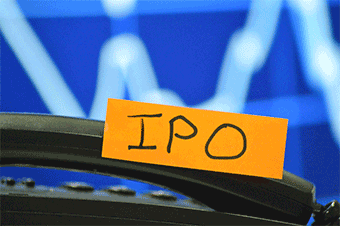 Its cross-town rival, National Stock Exchange (NSE), is also preparing for an IPO and plans to file draft offer documents by January next year. BSE’s shareholders include foreign investors such as US billionaire George Soros’s hedge fund Quantum’s Mauritius investment arm Quantum (M) Ltd, Canadian investor Thomas Caldwell’s Caldwell India Holdings Inc and US fund Argonaut Private Equity. Its domestic shareholders include Life Insurance Corporation, State Bank of India and Bajaj Holdings and Investment Ltd; all three also hold a stake in NSE. BSE had received in-principle approval for its share sale from the Securities and Exchange Board of India (SEBI) in March. It had first approached the capital markets regulator for the listing in January 2013. However, the proposal was not cleared due to lack of clarity on rules for listing of stock exchanges. SEBI amended the rules earlier this year, paving the way for BSE to list itself.